Sweeteners are popular sugar substitutes that provide the same (or possibly enhanced) sweet taste while having very few or virtually no calories at all. Their role in reducing the prevalence of obesity, type II diabetes and heart disease, as well as simply in weight loss has been explored by nutritional scientists, dietitians and physicians for a few years now. With many different types of sugar substitutes available on the market today, the choices range from completely artificial to natural, with the caloric value ranging from no calories at all to a reduced number of calories. However, their impact on overall health and long-term weight management is also unclear at the moment. In general, sugar substitutes may be divided into three categories: functional sweeteners, artificial sweeteners, and enhancing natural sweeteners/sweet taste enhancers. Functional sweeteners include mainly polyols (sugar alcohols), as well as bulking agents and rare sugars. Polyols are the most commonly used. These are carbohydrates in a reduced form – for example, mannitol is a reduced form of the carbohydrate mannose. Sugar alcohols occur naturally in certain fruits and vegetables. Those used as sweeteners include sorbitol, mannitol, xylitol and erythritol. They are lower in calories than sugar, but are often less sweet as well. As such, they may be a good option for those prone to dental caries and diabetes. Moreover, they are popular among food manufacturers, as they can be used as a bulking agent, as well as being helpful in keeping the food products moist. Artificial sweeteners, on the other hand, are chemically produced sugar substitutes that do not occur naturally. In the US, there are currently five artificial sweeteners on the market with FDA approval: saccharin, acesulfame, aspartame, neotame, and sucralose. 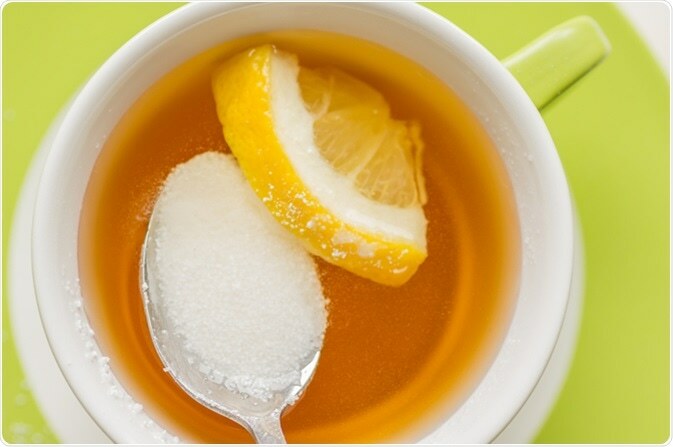 Natural sweeteners are sugar substitutes that can be extracted as such from plants. 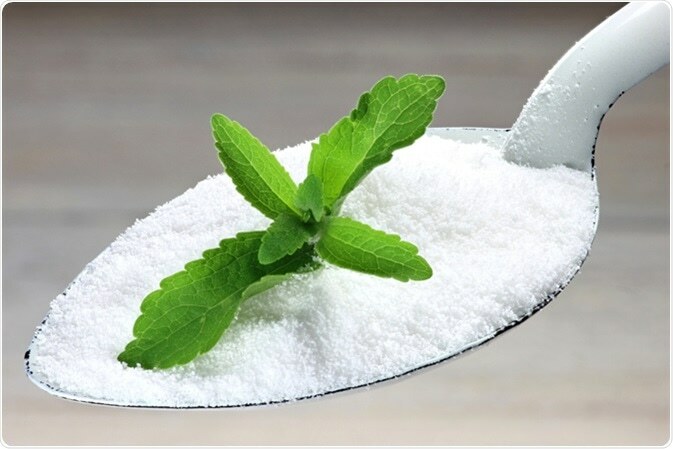 An example of such a sweetener is stevia, which is the only natural sweetener that has been approved by the FDA so far. It is important to note that some sweeteners are difficult to regulate due to their varied content and the number of different ways in which they can be manufactured. The response of the human body and brain to sugar substitutes is very complex. The perception of sweet taste is mediated by the type 1 taste receptor 2 (T1R2) and type 1 taste receptor 3 (T1R3), both of which are found in the mouth. These receptors receive and send information to the brain about the calorific and nutrient contents of the foods with which they come into contact. Since the sweet taste receptors do not differentiate between artificial sweeteners and natural sugars, they have been an active target for research while developing new types of sugar substitutes. One concern regarding the use of artificial sweeteners is the possibility that the individual will make up for the lost calories from sugar by replacing them with other foods. This could potentially undo the effects of any good that arises from using sugar substitutes, if the total caloric intake exceeds a healthy amount. In addition, it is necessary to consider any adverse effects arising from the consumption of such sugar substitutes as well. Another question is whether the regular use of artificial sweeteners could in fact affect the way that we taste foods in the long run. Since these molecules produce a constant enhancement in the level of stimulation of the sweet taste receptors, the routine use of artificial sweeteners inures the palate to such a high level of sweetness that less sweet foods, though with more complex flavors, become unappealing. This could lead to the avoidance of most healthy and filling foods in favor of those which are merely sweet, though with much less nutritional value. On the psychological level, the regular use of large amounts of sugar substitutes could affect the way the brain links sweetness to the caloric intake. This could in turn cause a stronger preference for sweet foods rather than those which are rich in nutrients, leading to weight gain. Sugar substitutes are widely used in food products, beverages, dietary supplements, as well as pharmaceuticals. Artificial sweeteners are commonly used in processed foods, such as soft drinks, canned foods, baked pastries and sweets, as well as other types of desserts, jams and jellies and dairy products, including sweet yoghurts. Polyols are not commonly used in home cooking, but may be found in several products, such as chocolate and chewing gum, as well as toothpaste. They are commonly used in processed foods since they not only add sweetness, but also bulk and texture to foods, and aid in keeping the product moist. Das A, Chakraborty R. An introduction to sweeteners. In: Merillon J-M, Ramawat KG, editors. Sweeteners: pharmacology, biotechnology, and applications. Cham: Springer International Publishing; 2016. pp. 1–13. Carocho M, Morales P, Ferreira I. Sweeteners as food additives in the XXI century: A review of what is known, and what is to come. Food and Chemical Toxicology, Volume 107, Part A, 2017. https://doi.org/10.1016/j.fct.2017.06.046.